Bright corner unit with an efficient floor plan at the Melville! 1-bedroom plus solarium, in-suite storage, plus outdoor patio. Enjoy the upgraded laminate flooring, stainless appliances, granite counters, and in-suite laundry. The building features a party room with a pool table, full kitchen, meeting room, and private theatre. The common area rooftop deck on the 42nd level has phenomenal views of Vancouver, and the gym, sauna, hot tub, bbq, and swimming pool are all located on the roof! 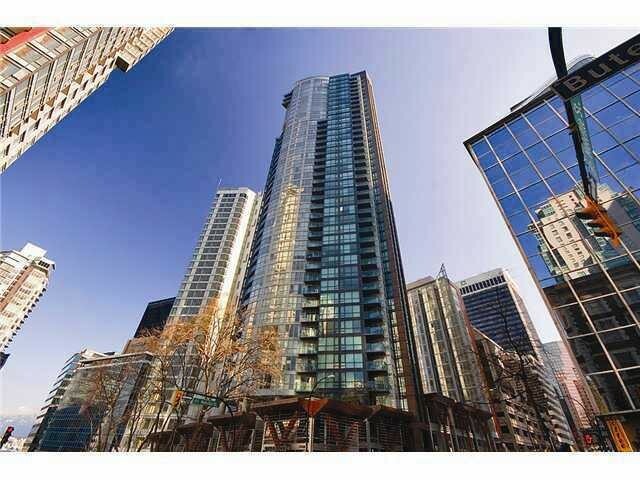 Great location, close to the waterfront, walking distance to restaurants and shopping on Robson Street. Solid building by reputable Amacon.